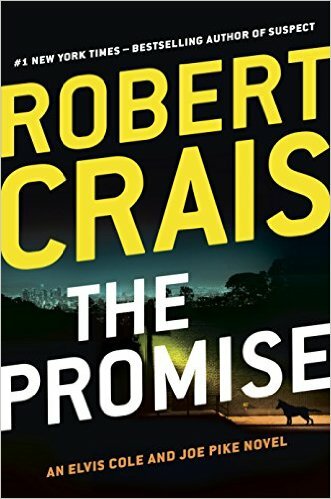 Unlike recent novels by Child, Connelly, or Kellerman, Robert Crais has avoided using a template to cookie cut out a new story. Instead, we have familiar characters involved in a completely different type of story. The ever threatening and quiet Joe Pike is here, along with the determined Elvis Cole. But Crais has allowed Pike to float in the background and Elvis never finds himself in a predicament as in most of the previous novels. The plot revolves around the potential threat of terrorists who may be getting their hands on high explosives. Rather than limiting this to an action story, Crais also develops this into a character study. The addition of Scott James and his K-9 Maggie amplify this as Scott struggles to do what he knows is right, yet contradictory to orders from his superiors. Jon Stone, as the stealth warrior, moves from someone we should fear to a more complex man that not only has a heart, but one who can bring justice to a seemingly impossible situation. The weak spot is in the evil Mr. Rollins. A villain who plans very methodically, seems to know when to bail, yet in the end does a rather stupid thing. Too often in these kinds of stories this is the case, otherwise our main heroes would not survive. Crais has given us a good read, a different type of story, and after a long wait for this book to come out, I would say he has kept his promise.